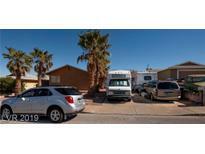 Below you can view all the homes for sale in the City View Terrace subdivision located in Henderson Nevada. 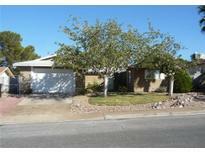 Listings in City View Terrace are updated daily from data we receive from the Las Vegas multiple listing service. To learn more about any of these homes or to receive custom notifications when a new property is listed for sale in City View Terrace, give us a call at 702-323-5903. Don’t miss out, Make an offer today! ! MLS#2090148. Compass Realty & Management, L.
This is a charming 3 bedroom, 2 bathroom home with an attached 2 car garage, a large backyard, with storage shed. MLS#2073211. Nevada Desert Realty Inc. Partial city view. Close to freeway access. MLS#2043928. American Property Network.